In today’s world of finance and retirement planning, there is a tendency to “do-it-yourself” as if you are going to make some home improvement. You see all kinds of shows on cable TV about home repair and home improvement projects. You can even search “YouTube” for the latest video on how to change out a toilet, build a wall, fix a car problem, etc., etc. You can also find such “help” for your finances and retirement planning on cable TV and “YouTube.” The “do-it-yourself” project is often geared toward saving on the cost of a professional. Saving money is always good, but the experience of the professional can also save you a lot of trouble. If you think you don’t need or can’t afford an advisor, well, think again. 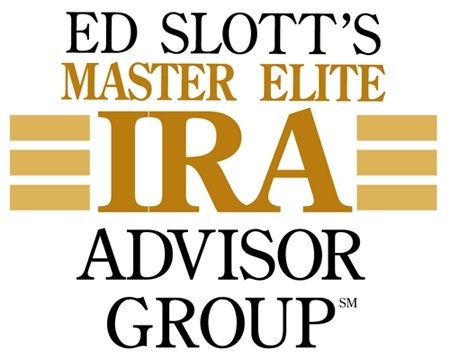 Have you considered the cost of making IRA mistakes? Even seemingly simple transactions are subject to rules and restrictions under the tax code. Did you contribute too much by mistake? This mistake cannot be corrected by simply withdrawing the excess amount. There are rules on how to fix the mistake. If you are not thoroughly familiar with the IRA rules, it is all too easy to make a mistake, and mistakes can be very costly. Consider the following areas when it comes to IRA’s. 1) Missing your Required Minimum Distribution (RMD). The tax penalty for missing your RMD is 50% and that is no typo! 3) Early Distribution Penalties – What happens if you withdraw money out of an IRA prior to 59 ½? There are taxes and penalties. What are they? Do you know? 4) Multiple 60 day rollovers. You can only complete one rollover in a 12 month period. A rollover is moving one IRA to another IRA or a ROTH IRA to another ROTH IRA. What happens if you do more than one? 5) Prohibited Transactions – Do you know what the prohibited transactions are in an IRA? Do you know what the penalty is? In cases where a mistake can be fixed, but only with IRS approval, a private letter ruling (PLR) request may have to be filed. In recent years those fees have increased dramatically. A ruling for a late 60-day rollover or Roth recharacterization now has an IRS fee of $10,000. All other PLR requests for IRA issues are now $28,300. But that fee, for individuals with income under $250,000, is reduced to $2,400 and for individuals with an income between $250,000 and $1,000,000 to $7,600. Those are just the IRS fees. In addition, individuals will have to pay someone to prepare their PLR request. This is usually a CPA or a tax attorney. A knowledgeable advisor can help you avoid these pitfalls, which in turn saves you money, which in turn gives you a better retirement. What better reason could there be for working with an advisor? Retirement planning can be much more complicated than some home improvement “do-it-yourself” project. As professionals, we can not only help you save and invest for retirement, we can also help you avoid potential trouble as well. Call us at the Dixon Financial Group, LLC today so that we can discuss your retirement and investment concerns with you. Let us help you avoid costly mistakes and retirement planning disasters.